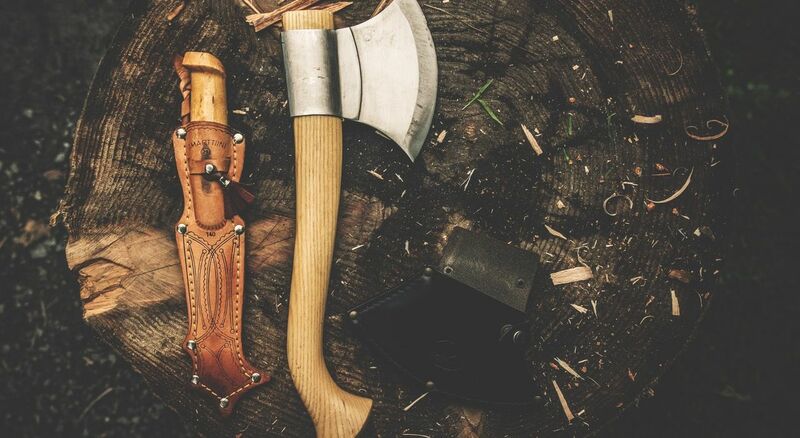 The best survival knife does almost every job you can think of, and because of this, knives are essential to survival and have a long history in survival history. They can offer protection against human or animal threats, but they also can act as a tool that can help you build fire, create a shelter, hunt, hike, hammer, prep food, and do much more for survival. While some shows, such as The Walking Dead, feature survival knives of epic proportion, simpler is really better when it comes to survival. The main issues are a well-designed knife that functions well. Again, bigger is not always the best size in the case of survival knives. A smaller knife can handle detailed tasks such as food preparation or carving weapons, whereas a large knife will be too clumsy to tackle such tasks. However, if the knife is too small, it is not going to do bigger jobs, such as cutting through wood to create a fire. Therefore, the perfect size should be around 10 inches long, with 5 inches being the blade and 5 inches being the handle for a perfect balance. Folding blades store easier, and there is less risk for getting hurt accidentally; however, a fixed blade will give you easier access to a weapon or tool when an emergency occurs and requires immediate action. In addition, if you are dependent on the folding blade, and the joint breaks or will not work (which could happen from blunt force during chopping or prying), then you will be out of luck in any situation. Therefore, a fixed blade is really the way to go in a survival situation. This is often referred to as ‘full tang’, and it simply means that the handle and blade are made from one continuous metal. They are also referred to as the strongest knives on the planet, which makes them the best survival knife as well. A half tang, rat-tail tang, or push tang knife could break under too much pressure or usage, whereas a full tang blade will stand up against more abuse in the long run. In the case of partial tangs, the blade can become dangerous to use effectively if it starts to loosen in the handle. Because a full blade knife can be uncomfortable, you may want to wrap some cord around it. This will also help you get a better grip over the knife. Some full tang knives already come with a handle for comfort and grip; you can easily spot them because the blade will be in between the handle itself. If you are not sure, ask. A sharp and pointed tip on your knife can mean the difference between life and death. You can use it to crack hard shelled food, clean small game, pick, pry, make repairs, hunting, and much more. A rounded, hooked, or angled tip will never be as handy during a survival scenario as a pointed tip. So keep that in mind as you look for the perfect knife for you. In the end, using the above guidelines will help you find a practical and useful knife for survival. The best survival knife for you will not look like your neighbors because there are so many styles on the market available for purchase. Various decorations, color, finishes, and handle material are just a few of the choices you have when buying a knife. Remember, the knife is the most important tool to have for survival, so get one that suits you and guard it with your life. Next: What Goes In A Survival Kit List?